>A few of my favorite Etsy things.. This artist lives in Turkey and has collected sea urchins during her many walks on the beaches there. She sure makes beautiful use of them! A family shop in Istanbul with the beautiful creations made by the mother and the daughter and son helping her with the shop details. Be sure to click on the image to see the close up detail..truly a work of art. Lively hand painted glass pieces full of movement and light~ I had a hard time choosing which one of the wonderful works of art to highlight . 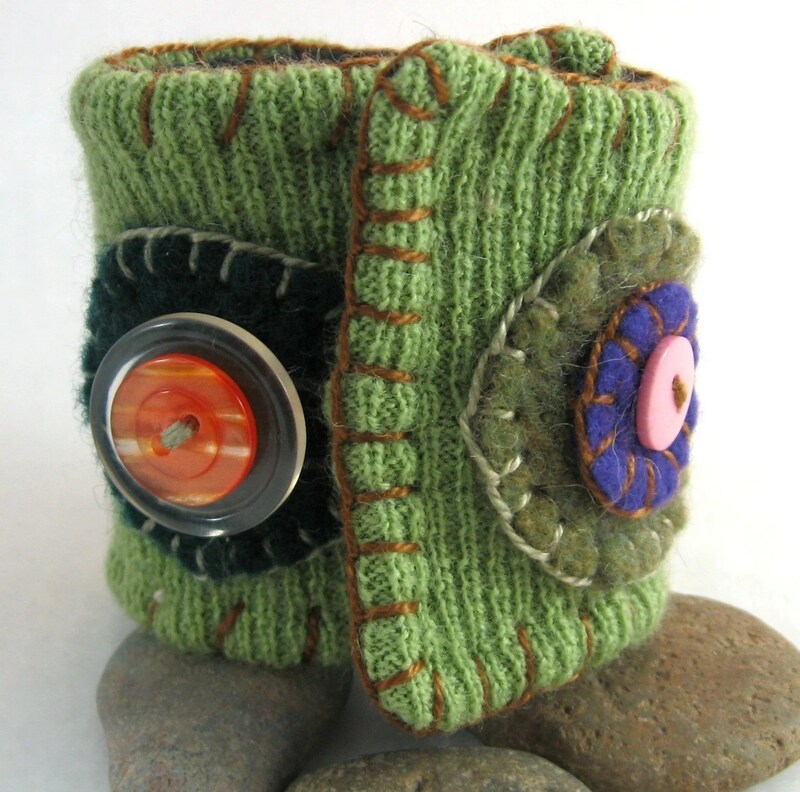 Just one of the many cuffs in this artisans Etsy shop. Many of her cuffs are constructed of leather, but this one is fun and sweet and comfy looking, don’t you think? 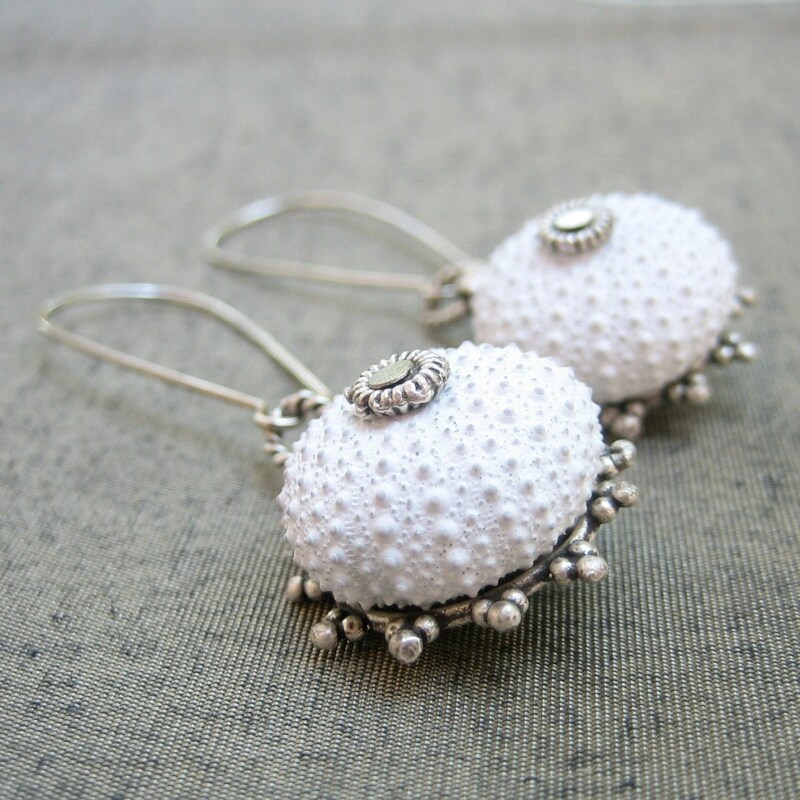 § 8 Responses to >A few of my favorite Etsy things..
>Thank you for this lovely feature! >I love Star of the East’s shop, too. The most beautiful, unique treasures! >Wow! 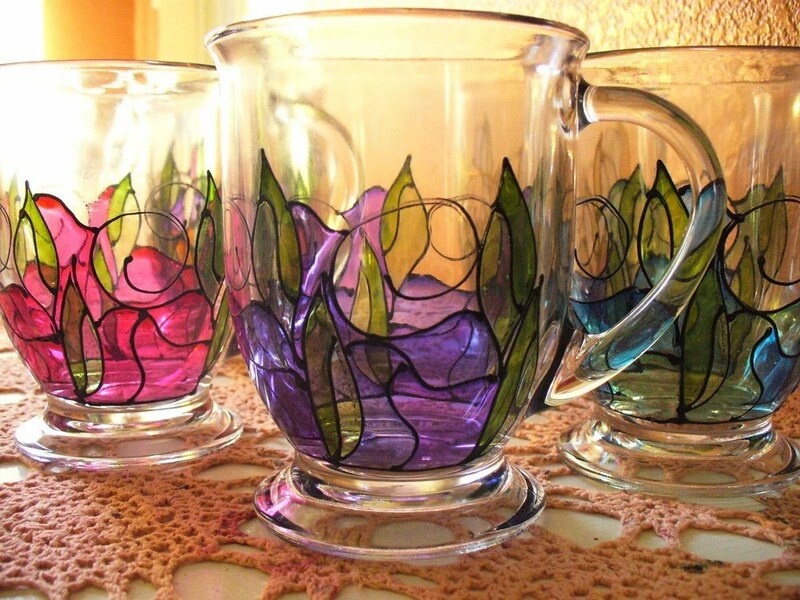 Those hand painted glasses are beautiful!! >Those are all beautiful choices! I really like those earrings by Star of the East! >Great stuff, all of it! « >Pulling it all Together..
You are currently reading >A few of my favorite Etsy things.. at fireandglass.